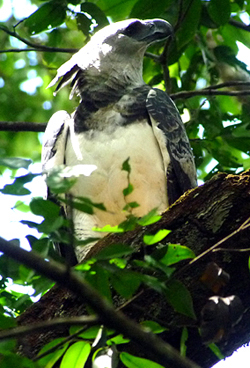 Harpy Eagle at Turtle Mountain - again! Rufous-winged Ground Cuckoo - at close range! Ocellated Crake - 4 seen! 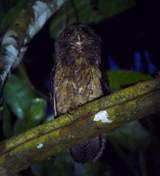 This tour featured an amazing number of target species and Guianan Shield Endemics seen well by all tour participants. 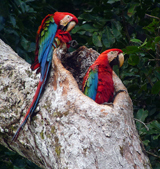 The local guides were the best in the country and the group enjoyed fabulous birding, spectacular landscapes, warm hospitality and wonderful camaraderie. 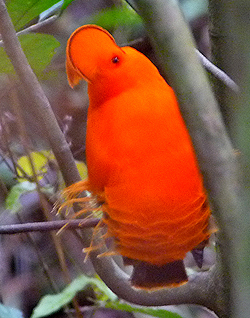 Guyana is a friendly, wild country with so many birds and habitats to enjoy. 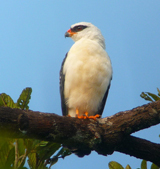 It is a MUST VISIT country for any serious bird watcher! PHOTO HIGHLIGHTS: Click the thumbnails below to see a larger version of the photo. All photos © Gina Nichol. Does your tour company use LOCAL guides? 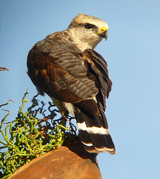 Zone-tailed Hawk Does your tour company use local operators that support LOCAL communities?